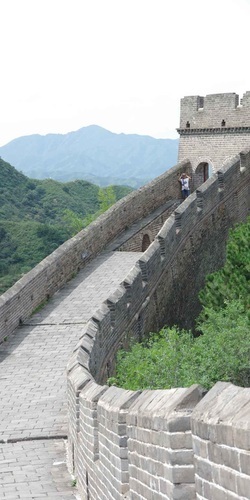 After a 10 year absence Barry Wilson revisited the Great Wall, this time at Jingshanling, 125km to the northeast of Beijing. Choosing a monday morning hoping for a limited crowd of visitors, it was a delight to find this section relatively empty and unvisited. No queues, few hawkers, just peace and magnificence. One of the most striking sections, the Great Wall at Jinshanling is where it climbs extremely steep slopes, built from 1567-1582 during the Ming Dynasty. 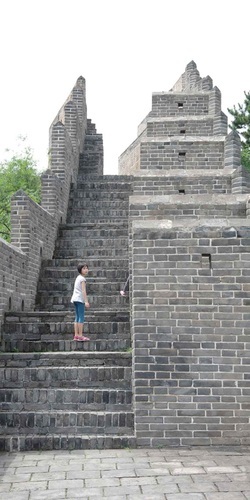 It is an exemplary section of the Great Wall and hence comes the saying that Jinshan section is the most quintessential of the 10,000-li Great Wall. 10.5 km long with 5 passes, 67 towers and 3 beacon towers, the initial section of the wall has been restored to original condition, but the condition deteriorates eastwards towards along the classic hike to Simatai. Topping the huge stone peaks, the Wall was formed of bricks and stone, each of which typicaly weighed about 26 pounds (12 kilograms). 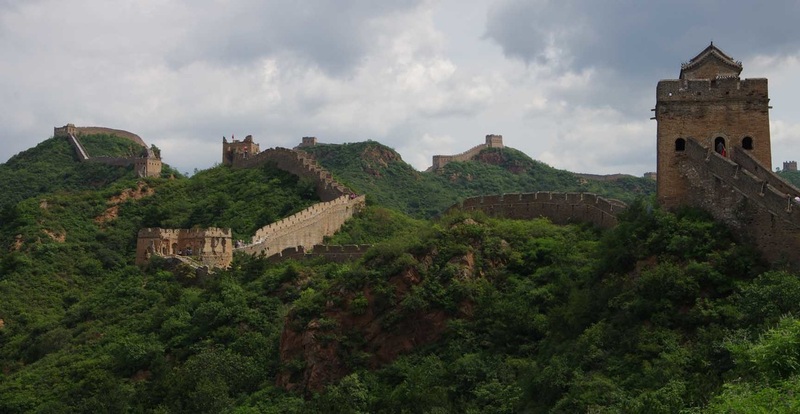 It is typical in structure and is famous for its broad field of vision, dense guard towers, unique landscape, elegant architecture, complete military defense system and excellent state of preservation. 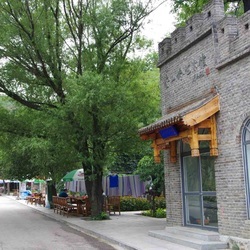 Different towers have different structures and appearances. 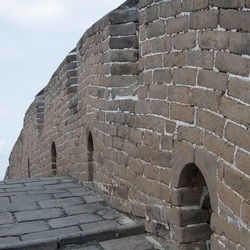 Some of the towers are storerooms, used to store food, hay and weapons whilst rows of 3-meter-high Barrier Walls, at 90 degrees to the main wall, protect the towers against any attack from the wall itself.